When you install Lightroom, by default any changes you make to your images are saved only in Lightroom's catalog, not with the file itself on the hard disk. You may have noticed a small icon in the upper right of the image cell in the Grid display of the Library module. 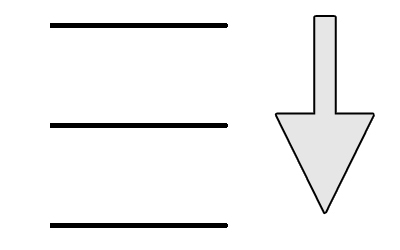 It has three lines beside a down arrow. This symbol indicates that you have made changes to the image that have not been saved. 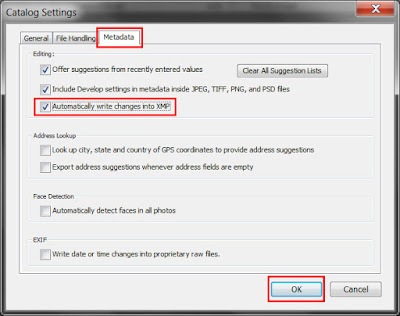 To save your changes and clear the symbol, select the image (or images) and then choose Metadata > Save Metadata to File. (You can also click on the Update Metadata icon directly or press Ctrl/Cmd-S.) Lightroom displays a window asking if you want to save the changes to disk. When you click Continue, Lightroom writes the changes to the photo on the hard disk. Once the task is completed successfully, the icon disappears. Sometimes, however, the icon remains even after you have saved the picture repeatedly. It turns out this is a known bug in Lightroom. Lightroom is actually saving your changes, but the icon does not update afterwards. So it looks like your save command did not work. I have been experiencing this problem for years and finally took the time to search for a solution. The fix is simple. Start by selecting the files that need updating and save the changes by choosing Metadata > Save Metadata to File. 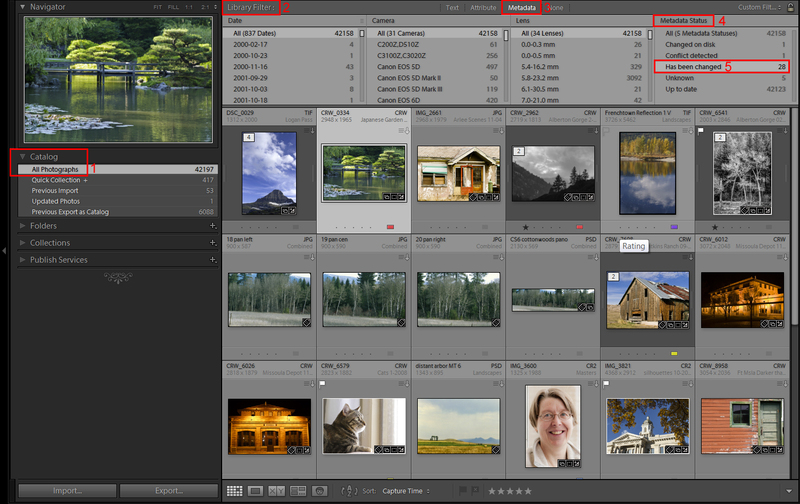 Then select All under Metadata Status so that Lightroom updates the image status. After that, again choose Has been changed and select all the photos that still display the update symbol. The solution is to choose Metadata > Read Metadata from File. Lightroom asks if you want to read the metadata from the disk. Lightroom also warns you that doing so overwrites any metadata in the Lightroom catalog with whatever is saved on the hard drive. You cannot undo this task because it is happening on the hard disk outside of Lightroom. Click Read to have Lightroom load the updated metadata into its catalog. Using Read Metadata from File forces Lightroom to check the picture on the hard disk and load the information saved in it. Therefore, it is very important that you first save the metadata changes to the picture. Then when you tell Lightroom to read the metadata from the hard drive, it will include the most current form of your image. You can mostly prevent this problem by telling Lightroom to automatically save (write) changes to your image as you make them. Choose Lightroom > Catalog Settings (Mac) or Edit > Catalog Settings (Windows). Click the Metadata tab and check the box that says Automatically write changes into XMP. Then click OK. If you have trouble with slow performance using the automatic save setting, you may need to turn it off and save your changes manually. You can help yourself remember to do this by creating a Smart Collection that automatically gathers all your images with unsaved changes. Then you can select them all and save the changes at once at the end of your session. See this help page for instructions and a video about creating a smart collection.